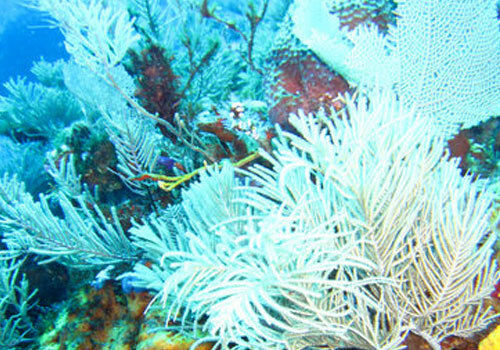 Depth 60'-80' - This is the type of Reefs of Cozumel that is almost always done in combination with Maracaibo. Experience level. Advanced. Current is sometimes unpredictable. Large Sea Swells and few boats are around to assist in case of problems. Chun-Chacaab is the reef you come to as you head towards the island from the Maracaibo arch. This reef is very different from the other Reefs of Cozumel. 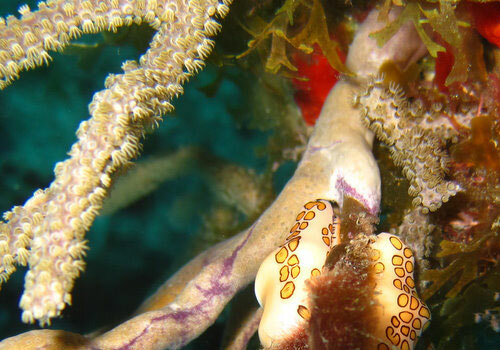 You will notice huge fields of Sea Plums, Sea Rods, and some Sea Fans. The dive starts at about 70'. It is mostly this depth the entire dive. There are a few rounded ridges that parallel the current. Some of these ridge tops are about 50'. You will see quite a few crevices and overhangs. 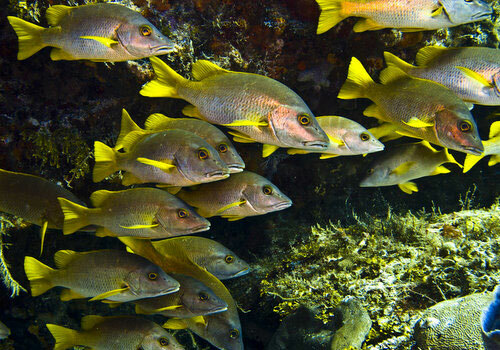 Look under these to see French Grunts,School Masters, Bermuda Chuts, and Lionfish. This Cozumel Diving is better using Nitrox 32. Check your dive tables before planning going through the arch. After the arch stay at about 70' for almost an hour and get a good look at Cozumel Chun-Chacaab Reef. 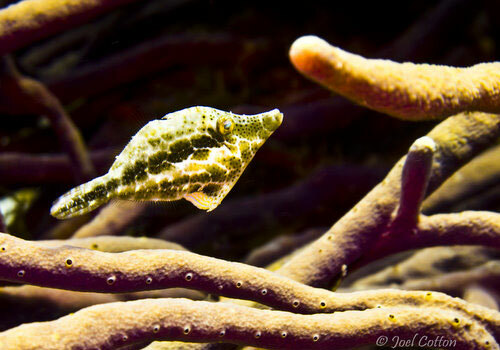 Look for Spotted Eagle Rays, Reef Sharks, Nurse Sharks, and lots of turtles.